Our seedlings are now over 4 months old! Planted just before Christmas, the Western larch are a whopping 8 inches tall and the grow lights have been reduced before they are planted in early June. The Western yellow cedar are showing their secondary growth – actual cedar leaves! They are still under the grow lights and will continue to live in the greenhouse until they are ready to plant this fall. 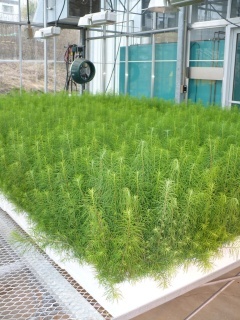 Both sets of trees are growing in the greehouse attached to UNBC’s Enhance Forestry Laboratory. If the climate change predictions are accurate, these species should grow very well here in the future, but the question is how well can these species survive in the short-term? 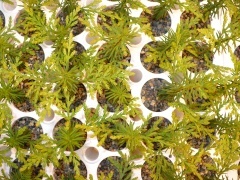 By planting experimental trials we can monitor their growth and development at the Research Forest and come up with some answers that might help future forest management decision-making.